Finely sliced green onion – 3 stalks – & chopped Italian parsley 1 tbs. Place lid over pan and let steam for a few minutes, then add ½ – ¾ bottle of Belgian Ale, and put lid back on pan. Once the mussels are opening (as if to drink the yummy beer), turn heat off and let sit for a minute, adding the sliced green onions for added aroma and flavor. 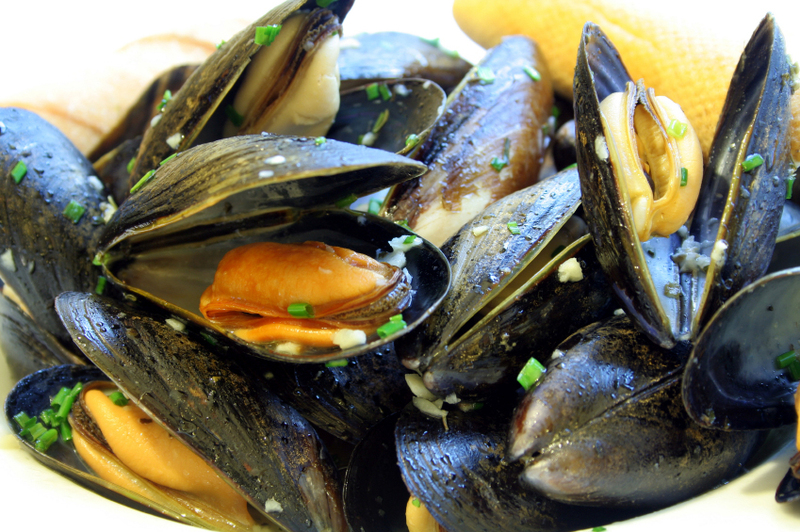 Serve in bowl and sprinkle chopped Parsley over served Mussels as the final touch.